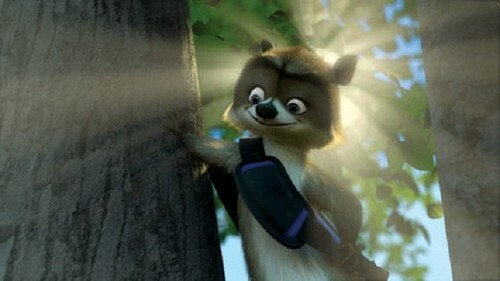 RJ in a treee.. . Wallpaper and background images in the Over the Hedge club tagged: over the hedge rj. wow... he actualy looks kinda cool there!